It's very easy to understand the language of flowers because every color has their respective meaning. 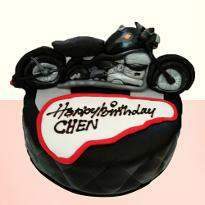 They are the medium to express love, care, friendship, elegance and happiness. Flowers have been the most accurate way to convey the emotions of the heart. Diwali festival is one of the most awaited occasion and it is commemorated with great zeal. 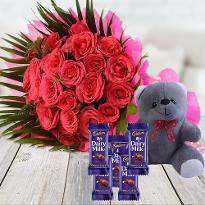 Diwali wishes are shared with near and dear ones by presenting Diwali gifts. 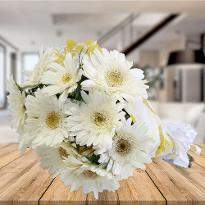 Diwali flowers are the best gift that you can present to your near and dear ones on this divine festival. 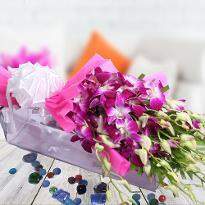 Fresh flowers are the most stylish way to convey Diwali wishes and blessings to special ones. 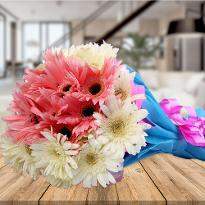 So, buy Diwali flowers online from Winni and get it delivered to the desired place. Diwali festival depicts the victory of good over bad, light of knowledge over the blackness of incomprehension. There are some legends associated with the commemoration of Diwali festival in different parts of India. Diwali is the time to celebrate the occasion with joy and happiness. It's the time to renew dedication to family members and friendship. It's also the apt time to develop more goodwill with professional contacts. Exchanging Diwali gifts is an old tradition since ages. Nowadays it has become an important part to present Diwali gifts to dear ones. Therefore it has become vital to select the right kind of gifts for parents, siblings, relatives, friends, business clients and employees. 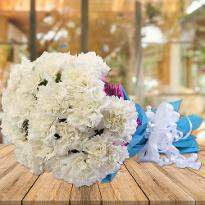 Flowers are considered to be the best natural gift for every occasion. They are the perfect way to showcase emotions to near and dear ones. Flowers are also the best decorative item for Diwali festival. They spread positive vibes wherever they are kept. 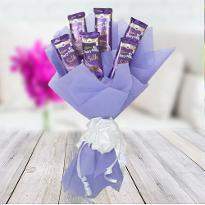 Henceforth, what could be more amazing than a bouquet of blooming flowers for Diwali gift? This Diwali season, express your wishes on Diwali with a bouquet of vibrant and elegant looking flowers which are arranged at the peak of perfection. You can send Diwali flowers online which are arranged expertly with our hassle-free delivery services to the desired destination. Diwali is one of the biggest and glaring festivals, commemorated all over India with great enthusiasm. Flowers always play a crucial role in every occasion. 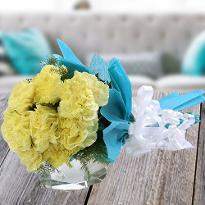 They can easily express your warm wishes to your beloved ones, Surprise them with blooming flowers. 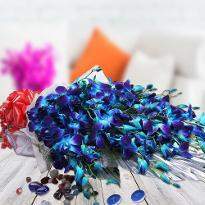 Winni presents a wide collection of Diwali flowers so that you can shop according to your choice. 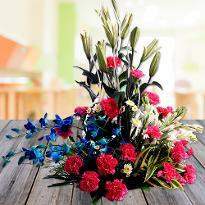 We have the different variety of Diwali flowers which are available in different colors as well as arrangements. 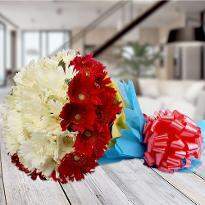 So, go ahead and buy Diwali flowers online to surprise your loved ones on Diwali festival. 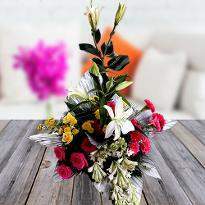 Flower Bouquet for Diwali: In the spirit of festivals, Winni brings a wonderful assortment of Diwali flower bouquets. 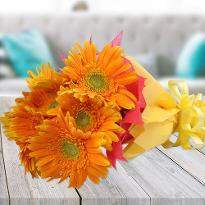 Choose from a variety of fresh flower bouquets and buy for your loved ones to greet them Happy Diwali. You can shop for a bouquet of red roses or bouquet of mixed flowers and many more to convey your Diwali wishes to near and dear ones. 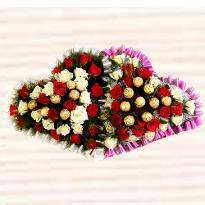 Heart-Shape Flower Arrangement for Diwali: Diwali is not only about conveying wishes but also expressing the emotions of the heart. If you are deeply in love with someone and you want to express your emotions to them then Diwali is the perfect day for you. 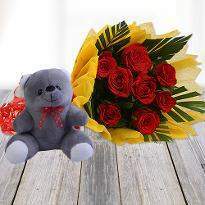 Take the help of flowers and convey your heartfelt emotions to your special one. 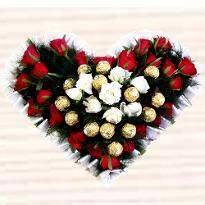 Heart-Shape flowers will be a great idea as it's gorgeous shape itself speaks love. 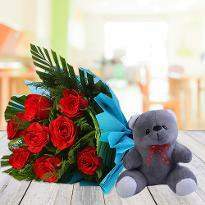 Tell your special one then you truly love them by presenting heart-shape flowers bouquet to them. 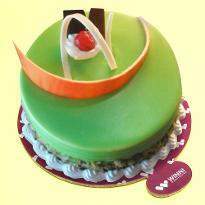 This gift will truly convey your love and Diwali wishes in the best possible way. The heart-shape flower arrangements are also created by using mixed flowers as well as the same flowers. 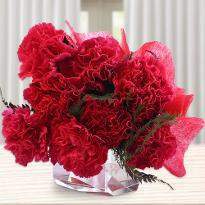 For instance, a heart-shape bouquet of red roses, a bouquet of mixed flowers. 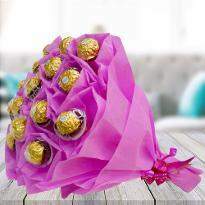 Flowers have always been the perfect gift for occasions. 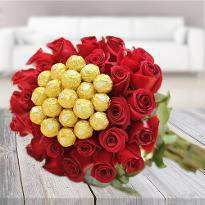 So, order Diwali flowers online from Winni and gift to your special ones to express your love and wishes to them. Tier-Arrangements of Flowers for Diwali: Flowers when arranged in a 2-tier or 3-tier shape then they truly exudes beauty and millions of emotions. Flowers are the heart-stealers. Their elegance and mesmeric beauty can bring optimism in the surroundings. Flowers are also the best gifts for Diwali festival. This Diwali festival, buy tier-arrangement of flowers and gift to your loved ones to convey your warm regards. Flower Baskets for Diwali: You can also shop for Diwali flower baskets from Winni. 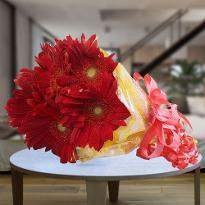 Different flowers are arranged astonishingly in a basket so that you can present to your loved ones and convey your Diwali greetings. Orchids, gerberas, lilies, roses and carnations are beautifully arranged in the basket. 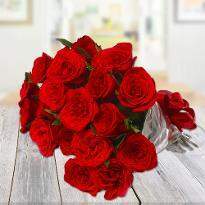 So, go ahead and shop for flowers baskets from Winni and send online to your loved one's doorstep. 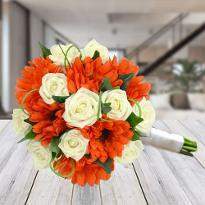 If you live abroad and want to send Diwali flowers online in India then approach Winni. We provide online Diwali flowers delivery service so that you can send your token of love, wishes and blessings to your loved ones easily. Our different delivery slots provide you with an opportunity to send Diwali flowers to your dear ones without any hassle. 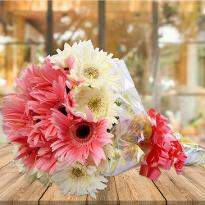 So, go ahead and order Diwali flowers online and send it by choosing our online Diwali flowers delivery service.